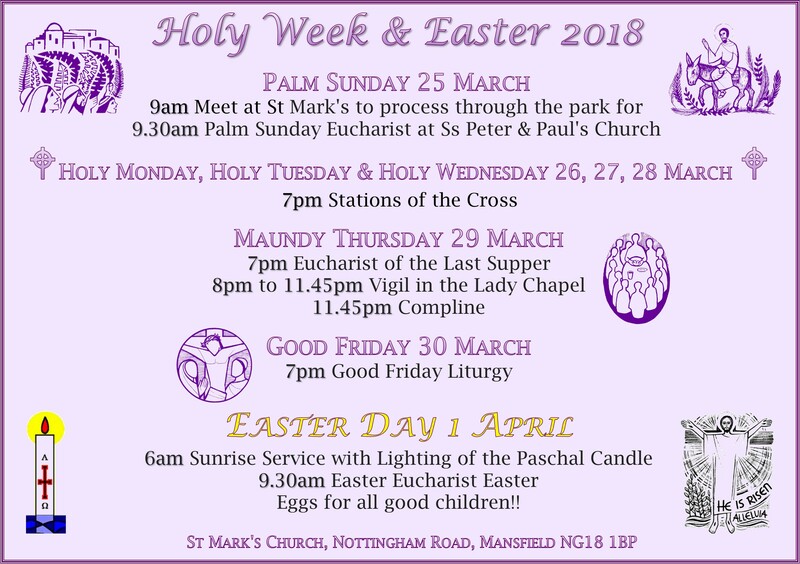 Categories: Ash Wednesday, Easter, Good Friday, Holy Week, Lent, Maundy Thursday, Palm Sunday, Services, Serving at St Mark's, St Mark's Church, St Mark's Church Family, St Mark's Community | Permalink. 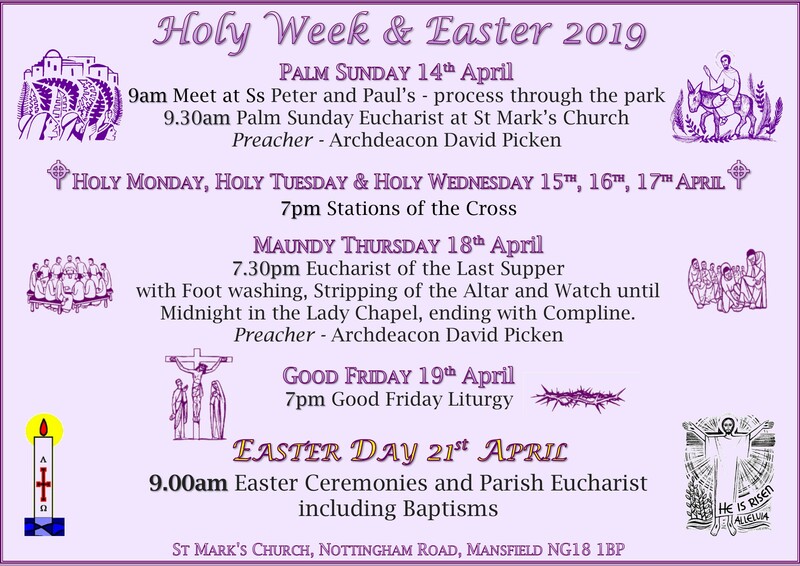 Categories: Ash Wednesday, Choir, Easter, Good Friday, Holy Week, Lent, Maundy Thursday, Music at St Mark's, Palm Sunday, Services, St Mark's Church, St Mark's Church Family, St Mark's Community, St. Mark's Church Organ | Permalink. 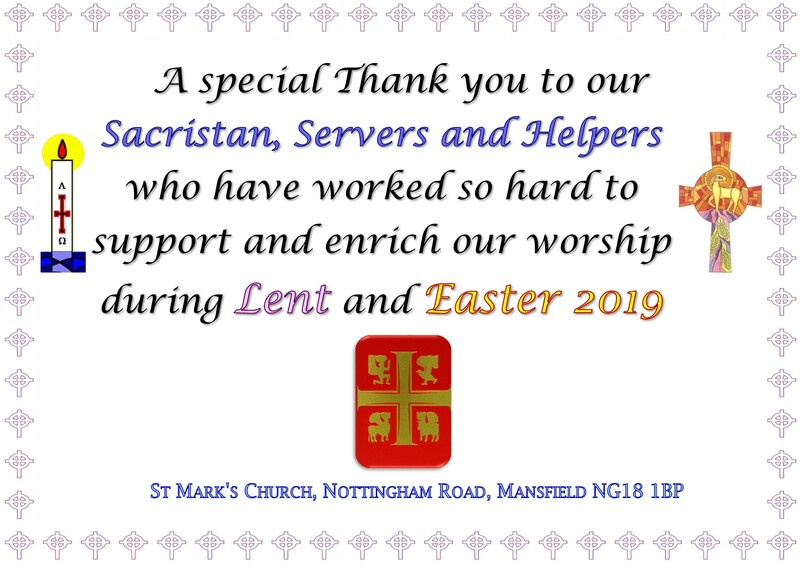 Categories: Easter, Good Friday, Holy Week, Maundy Thursday, Our Church's Year, Palm Sunday, St Mark's Church, St Mark's Church Family, St Mark's Community, Together with St Peter's | Permalink. 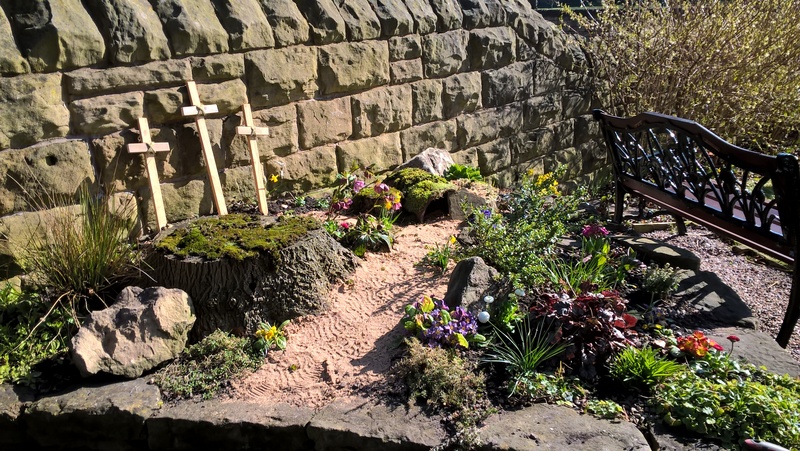 As several people have asked me where the Easter garden is actually situated, I took a photo yesterday while Sheila and I were working in this gloriously sunny corner near the church tower. The scent of winter honeysuckle blossom was wafting across on the warm air and the spring flowers looked beautiful. Come and see for yourself. On a mild day you’ll be led by the nose as you wander past the vestry door and between the driveway and the tower. You might be enticed to sit awhile, the shadows of Gethsemane behind you and the sun on your face. It’s still work in progress; all the pebbles we’ve decorated will be used to line the way, each one a unique offering to our Lord. You may even find a little long-suffering four-footed friend ambling along the sandy path! The whole garden is coming alive. The greenhouse is full of seeds sprouting, daffodils are nodding their golden heads, birds are eyeing up the nest boxes and the wildlife pond, which was only filled on Sunday had a blackbird perched on the edge on Monday morning, dipping its beak full of nesting material into the water. We’d love you to come and have a look. You may even find there’s something you’d like to contribute to the garden’s evolution. Watch this space for pictures of how the Community Garden has changed over the last 10 years! 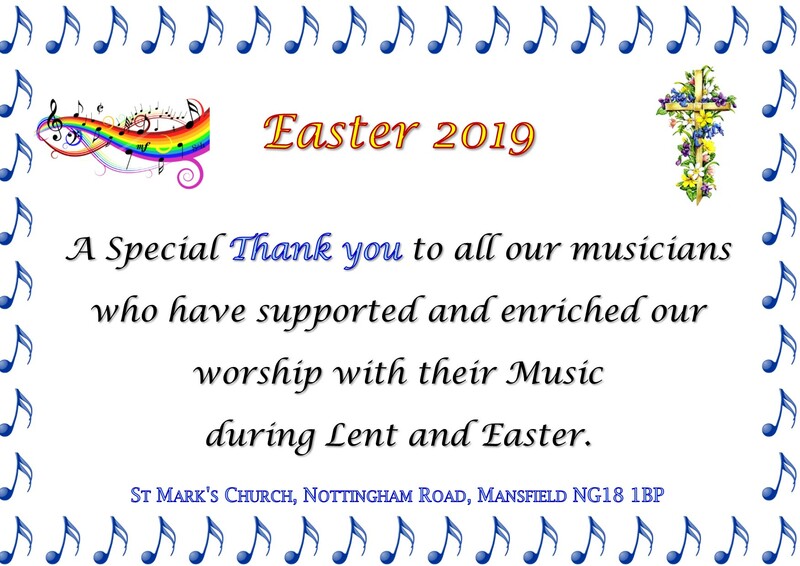 Categories: Easter, Good Friday, Green and Wild, Our Church's Year, St Mark's Church, St Mark's Church Family, St Mark's Community | Permalink. Categories: Easter, Good Friday, Holy Week, Our Church's Year, Palm Sunday, St Mark's Church, St Mark's Church Family | Permalink. 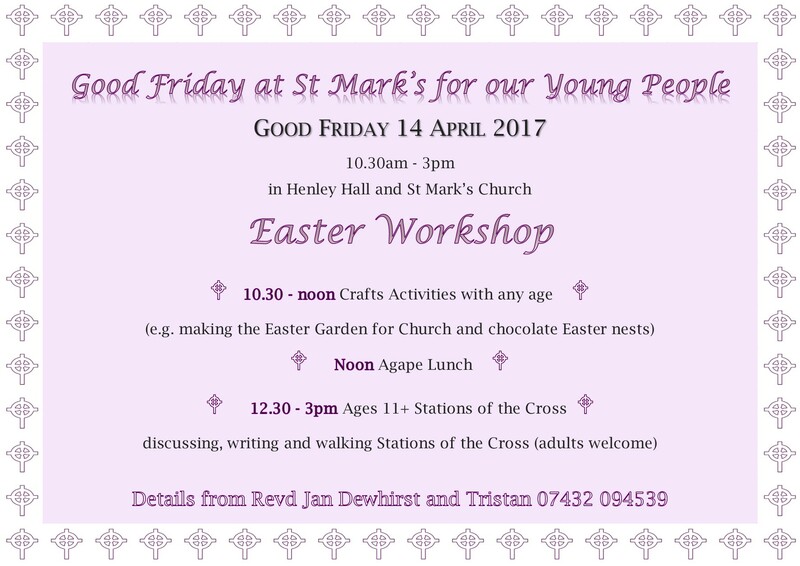 Categories: Good Friday, Our Church's Year, St. Mark's Young People | Permalink.